There isn’t a professional footballer on the planet that likes to lose a game, let alone against the best teams in the biggest club competition in the world. However, no matter how disappointed a player can get with the result, there is simply no excuse for not showing respect to his team-mates, the opposition players, or even the referees, for that matter, after the conclusion of the game. 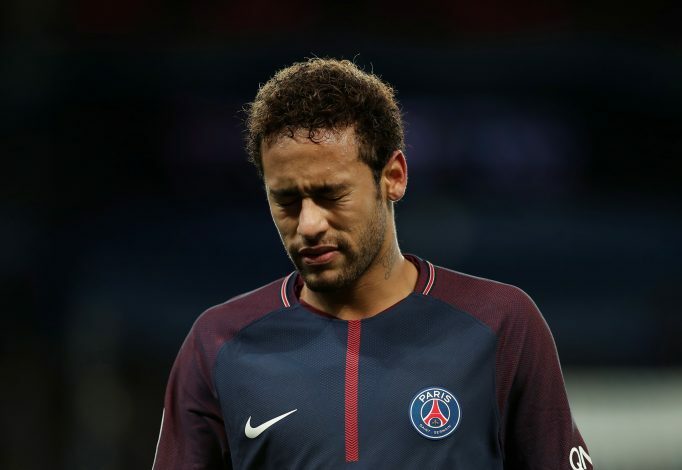 That is the situation Neymar found himself in last night, after his Paris Saint-Germain side succumbed to a 3-1 away defeat at the hands of Real Madrid in the Champions League. The French giants began the tie brilliantly, seemingly unfazed in the face of Real’s high pressing, and went on to take a well-deserved lead through Adrien Rabiot’s 33rd-minute strike. However, on the stroke of half-time, Cristiano Ronaldo leveled the tie with a sensational penalty that has been making headlines all around the football world. Ronaldo went on to score another, before Marcelo’s 86th-minute strike all but sealed the game, leaving PSG with a mountain to climb in the second leg. On the other hand, Neymar, the world’s most expensive player, had a largely ineffectual game, and his frustration at the end of the match was evident. While his team-mates were shaking hands with the opposition players and the referees, the Brazilian instead decided to storm straight down the tunnel, and didn’t for a moment bother to even look back. It didn’t just end there, as Spanish outlet Don Balon – who aren’t exactly the most trustworthy of sources – claim that the 26-year-old was involved in a heated dressing room argument with his team-mates, venting out his frustration at the collapse that might see them get knocked out of the competition in the next leg. It is yet another instance of the ‘cry baby’ character Neymar was so heavily criticized for when reports of his bust-up with Edinson Cavani emerged, and it goes without saying that fans on Twitter were outraged at his lack of respect for his fellow colleagues.